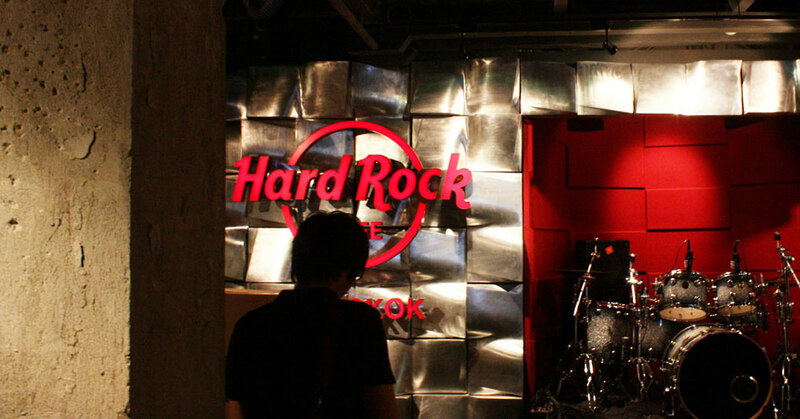 Hard Rock Cafe: Design Summary. 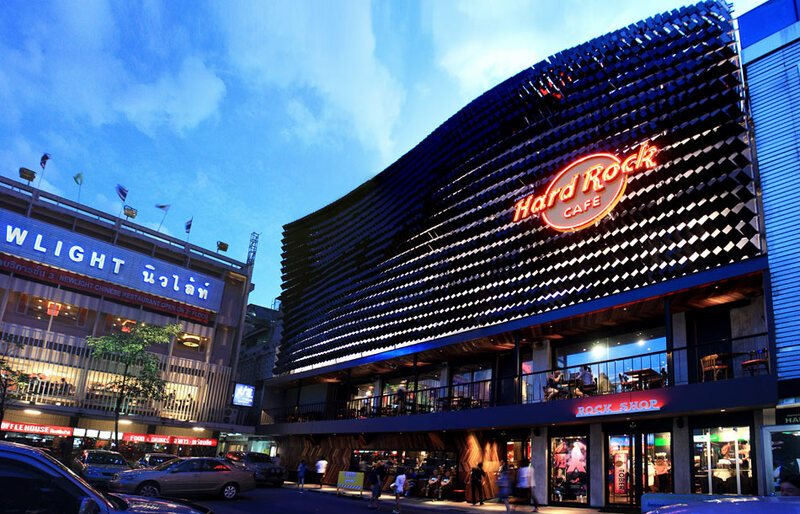 – architectkidd co. ltd.
October 10, 2011: The Hard Rock Cafe in Bangkok is now complete and open to the public. 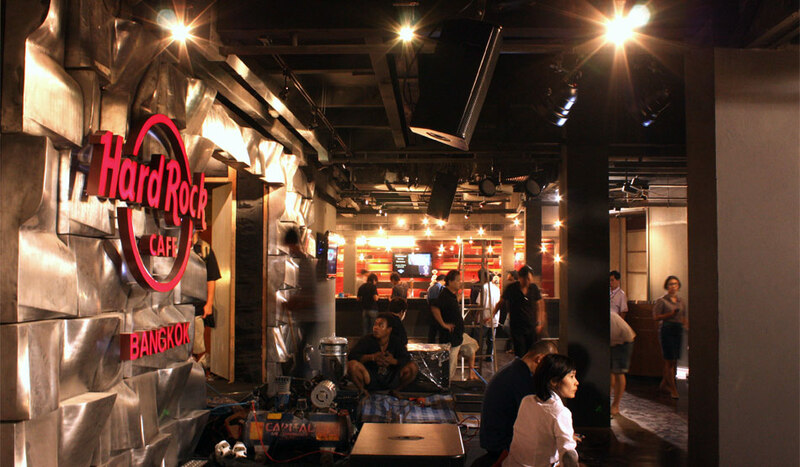 Architectkidd and Prinda Puranananda designed the restaurant with the aim to re-connect Hard Rock back to its core values: music combined with food and drink to create a dynamic experience. We started by thinking about the rhythms and structures of sound. Interpreting sound into physical forms and materials throughout the design became a collaborative effort combining design with branding, furniture and street art. 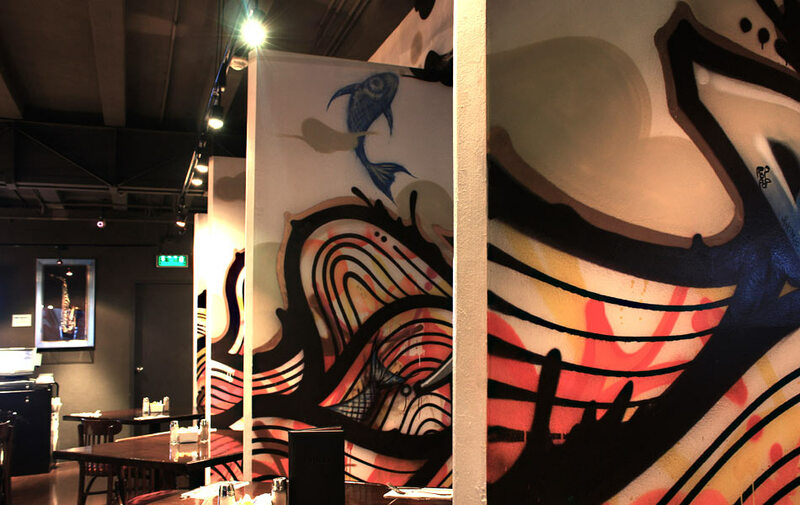 The creative team involved product designers Anon Pairot Studio and graffiti artist Patcharapol Tangruen (aka Alex Face). For us, to help to visualize the music, we began by digitalizing sound waves. 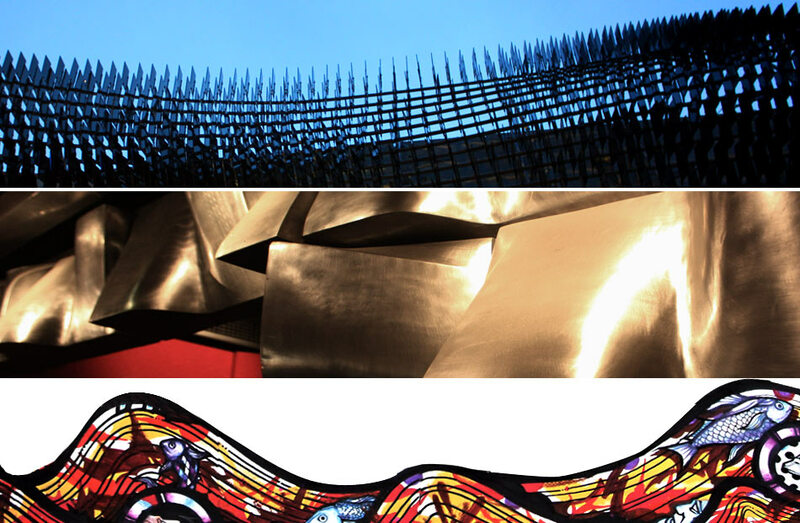 At the same time, we were inspired by the surrounding streetscapes. Siam Square is known as the fashion and trend-setting heart of Bangkok, and is home to many independent and creative places. 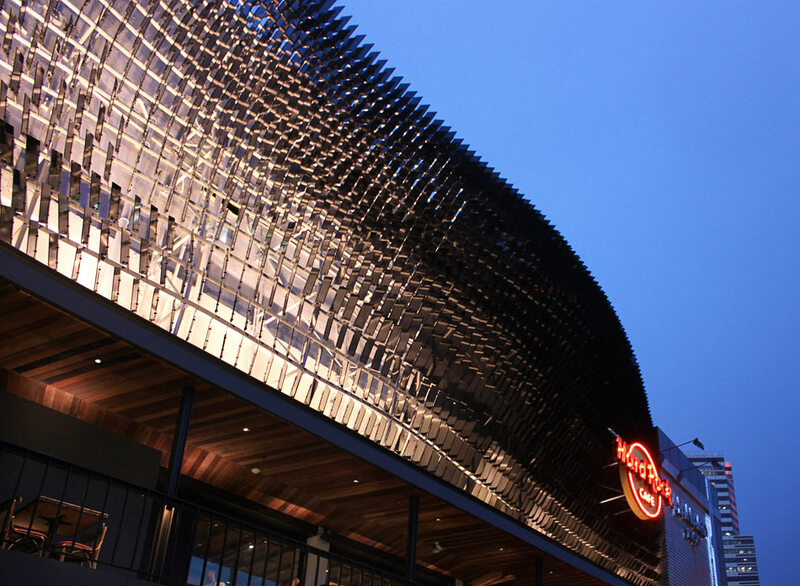 Architecturally, the buildings are 3 and 4-storey shophouses, and their facades serve as a kind of a public expression for the shop designers. 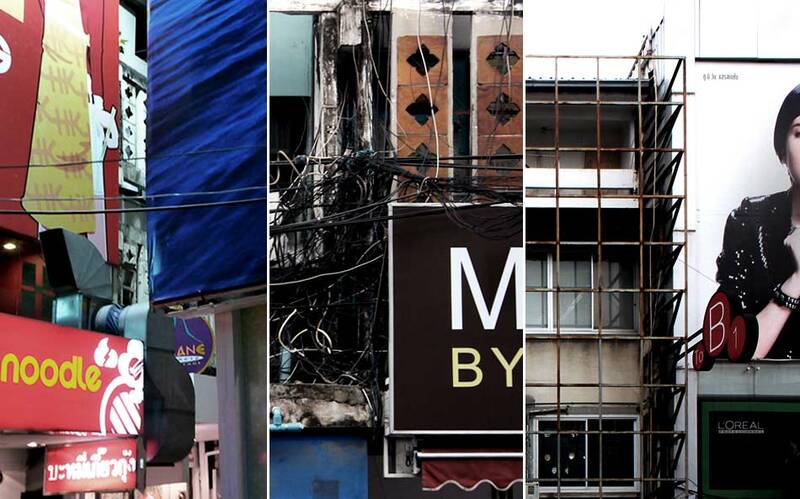 With constant turnover of new shops, the overall streetscape becomes a kind of chaotic layering of surfaces, materials and advertising over the concrete building structures. 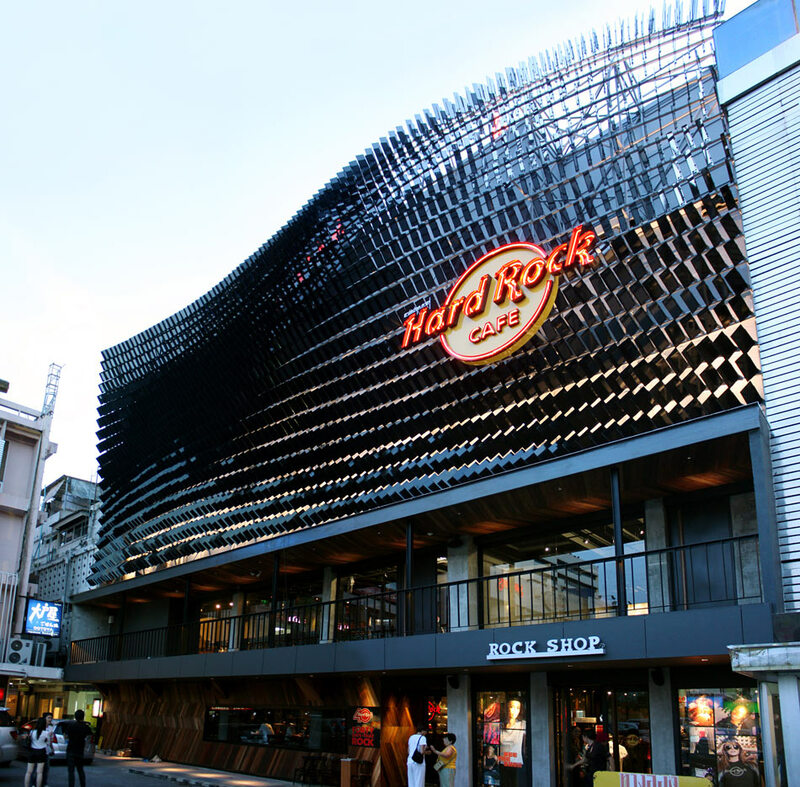 We were interested in capturing aspects of the surrounding streetscapes with the new Hard Rock, so it just seemed to make sense to develop some sort of “materials re-use” strategy. In addition to the environmental reasons, we knew that we did not want to erase all previous traces of the existing building and structure. For us, “re-use” not only meant considering old materials, but also how to design for new materials in a more sensitive way. 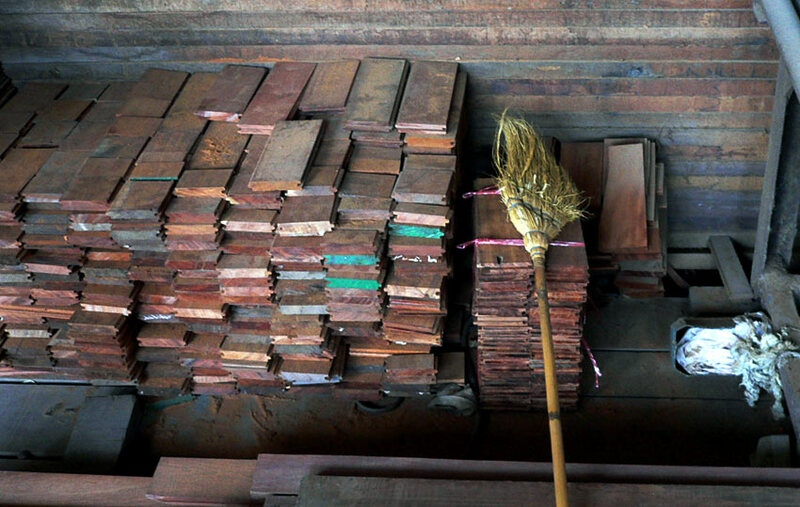 Where wood was requested to be used in the restaurant, for example, efforts were made to retain the existing finish from before the renovation, as well as introducing new (reclaimed) timber. 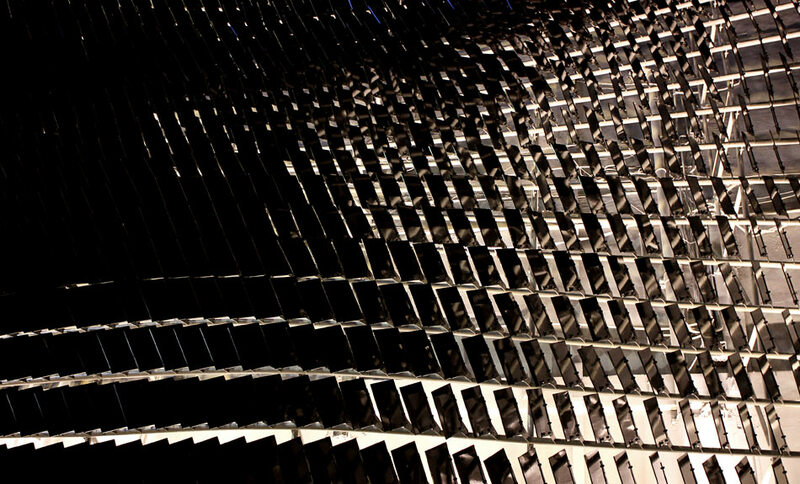 On the exterior, the new facade is composed of reflective black panels cantilevered from a curved steel structure. The panels are angled so that in some places the existing building is revealed from behind. This play between the old and new layers results in a tactile surface for the exterior. In the interior, new furnishings and fittings contrast with the overall space in which the walls and ceilings have been removed to create a more exposed space. 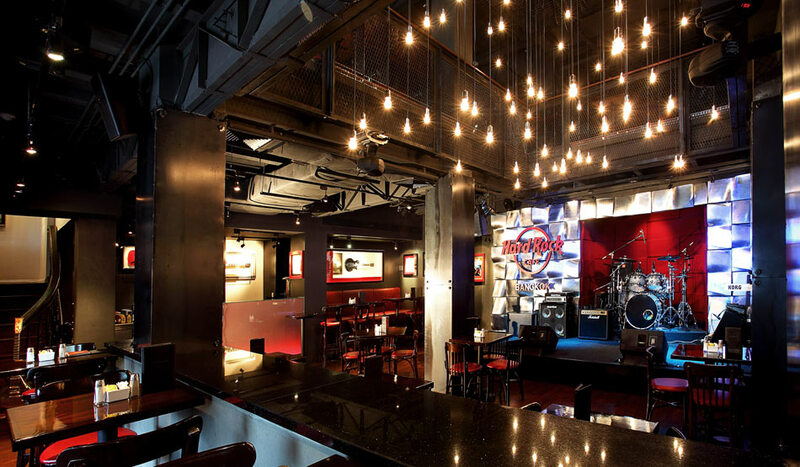 The performance stage – an important feature for all Hard Rock Cafes – contains a stage wall designed by Anon Pairot Studio made from recycled aluminum re-cast into solid modules. Please have a look at the image gallery below for more photographs on the completed project.